I met Peter and Laura Gregory a couple of years ago when we called in to the old Post Office at Waikouaiti to have a look at their Gallery. Several years prior to that my husband had bought me two of Laura’s paintings so I was pleased to be able to tell her how much I appreciated and enjoyed them. Laura gave us a brief history of the building and then suggested we go through into another area and see Peter working at his wheel. Watching Peter pot was magical. We came away with one of his bowls which is in daily use at breakfast time. A World Within. A New Life. I remember making a moon with craters and rockets out of a lump of plasticine that had turned that strange brown-grey that plasticine gets when all the colours have intermingled. I remember the smell of plasticine, and I remember that some children put it in their mouths. I can recall the taste of it, so I must have put it in my mouth too. Was I three? About that. Certainly, the memory is from that timeless part of childhood, where taste, smell, feel, laughing and singing are natural. Mother wore an apron, I remember that. I made houses. Knights in armour. Sailing ships. Steam powered trucks. Villages. Castles. I carried on finding magic in plasticine years after most boys abandoned it for sport, fights, truck spotting, and girls! Then painting. I remember my first serious attempt at painting. A tree in pink blossom, painted as I saw it in front of me, I suppose I must have been 7 or 8. Painting waited a few more years, then crept up on me again when I was 14 or 15. I went to an adult evening class, my mother had to enroll too, because the teacher did not teach unaccompanied children. I learned to lay down watercolour washes. I became familiar with the names of the colours. Indian Red. Yellow Ochre. Ultramarine Blue. Cerulean Blue. I saved my pocket money and bought paint and paper. I started selling my first paintings around that time, and the money went back into materials. Good paint. Good brushes. When I was 16 I began selling my watercolours at a gallery that had been newly started in a little village in the North of England near where we were living at the time. My watercolours sold from four pounds to twelve pounds. Most of the paintings were landscapes. I would ride out on my pushbike, and paint something that appealed to me. 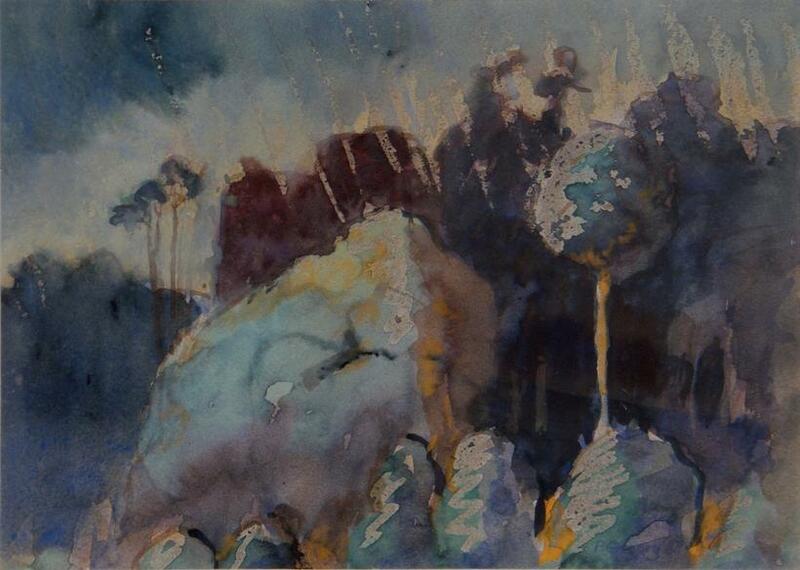 Sometimes I would do a rough watercolour on the spot, then do it again from memory the same evening at home. Other times I would manage to complete the whole painting on the spot. On one occasion the gallery arranged a commission for me, a painting of someone’s house. The people liked my greens. They wanted green in the painting. The house was a barn conversion in rather artificial orange and beige stone, there was no green to be seen, so I invented a tree in the foreground and a scrap of hedge. Houses were not my thing really, but I managed to do it, and the people were pleased. My parents decided to emigrate to New Zealand when I was 17 years old, so I came with them. In some respects my development as a painter took quite a hit from that move. I probably went round in a few circles for a few years as I struggled to find my feet in a new country. I always kept painting, but I did get pressured to get “a real job” by many people, and eventually I did do that as I lacked sufficient self-confidence to keep sailing my own course. This was small town New Zealand in the late 1970s early 80s, and being an artist was not seen as something that a bloke could do. So, there was Loader driving. Working in a fruit and veg department of a supermarket. Working at an IHC. Labouring on a farm. And so on. I was married, and in my mid 20s we moved to the South Island and I went to Otago School of Art. One of the most helpful things of that move was being able to do art full-time, without feeling like I had to justify myself. In Dunedin it was acceptable to be a student, and to be supported by one’s partner. When I had completed art school I worked for Forest Service part-time for just over a year, doing pamphlets and the displays and a mural for an information centre in the North Island. I painted this watercolour for my own amusement while I was working for Forest Service. I would often go for evening walks after work, and take my paints with me. I was fascinated by the sculptural forms of the trees at night, and would do my best to paint them in the fading light, or by moonlight. When I left Forest Service we went back to our small North Island town, where we had a house, and I painted full time. 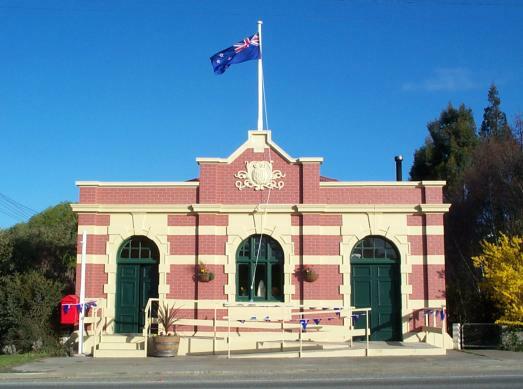 In 1989 we managed to make the move South to Waikouaiti where we bought the old post office, that had just become vacant. We set up our home, studio, and gallery there. I continued painting until about 8 years ago. In order to support us, I had a Saturday painting and printmaking class in my studio. A potter enrolled at my class. He wanted help with his drawing, so that he would find it easier to decorate pots. One evening we visited him socially, and I asked to see how a pot was made on the wheel. Seeing raw clay transformed into a bowl was a magical experience. After that I found myself on the potter’s doorstep every day for about the equivalent of a school term. Very kindly he let me work away in the corner of his little workshop. Then I bought a second-hand kiln and wheel, and have been potting ever since. 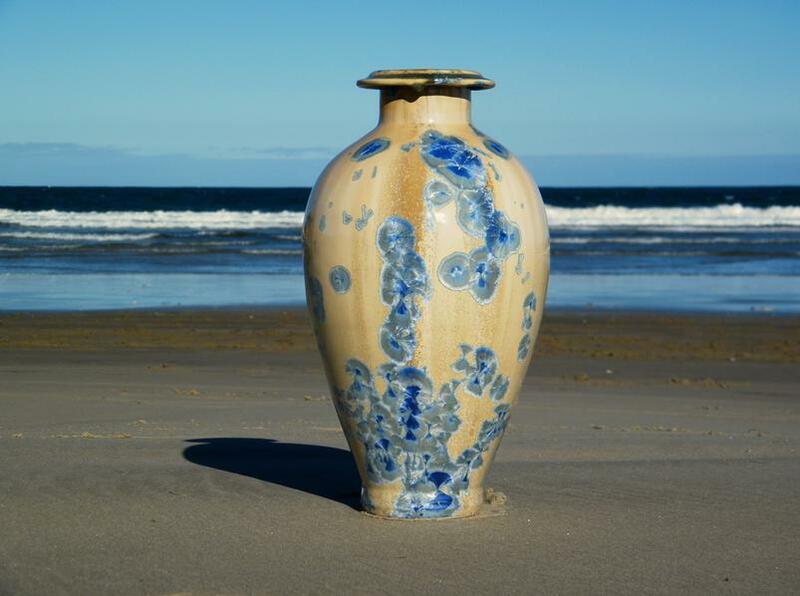 Some people who once bought paintings from me, find it hard to understand why I would cease painting to make pots. 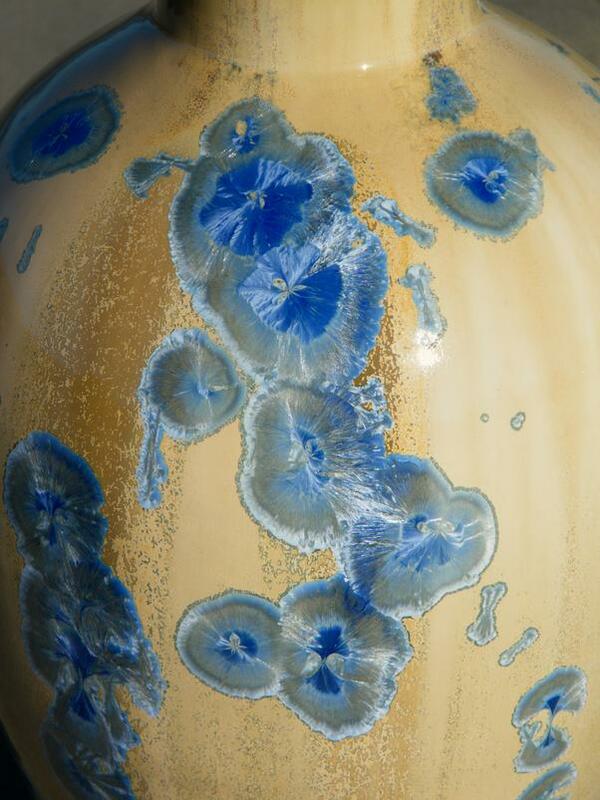 Many people do not see pots as being “art”, and are troubled that I would not be doing “art” now. For me, I see no difference. Throwing a pot on a wheel is like drawing or painting in three dimensions, and it takes a great deal of skill and practice to do well. When I put a handle on a mug or a teapot, I am dealing with line and negative spaces, just like I would when drawing. The natural throwing marks that the fingers leave behind on a pot, are like an artist’s brush strokes. 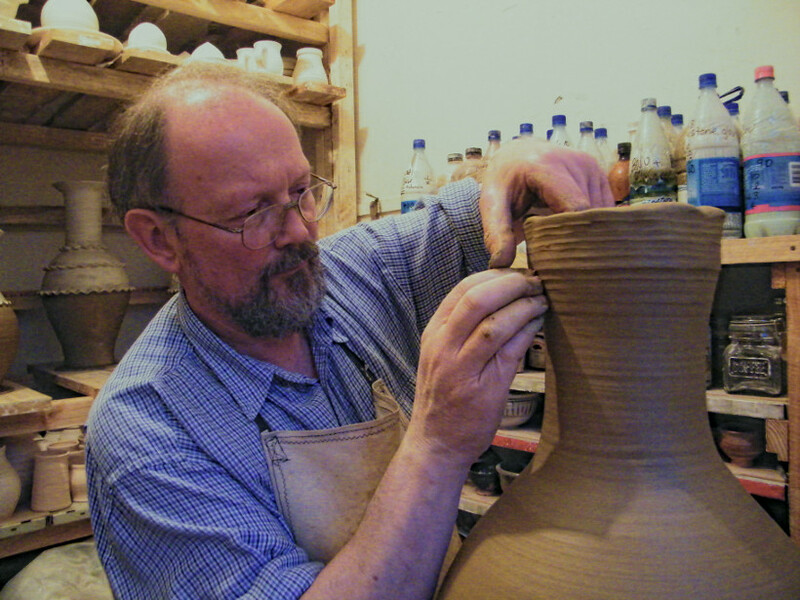 As a potter I usually work in series. If I make a vase, I will probably make several. Rarely the same, but as variations on a theme. One form will suggest another, probably with modifications. Working on the wheel is probably my most favorite part of the potting process. I am used to working on my own. When I was a painter I could only really work on my own. Potting can be a bit more sociable than that, I don’t mind a chat when I am throwing on the potter’s wheel, but I prefer to fire my wood fired kiln without too many people around. Laura and I work well together with the firing, and she is now capable of firing it for some time on her own so I can have a break. Firing a wood fired kiln is like sailing a small boat. To do it well, you have to use all your senses, and all your concentration. Having people around is a distraction. I suppose that brings me back to the beginning again, the place where art has its centre. At the beginning there is a private place. An inner place. The world of the imagination. This is a world that only you can make. It is a world that you have to defend and protect, especially as an adult, I have learned that much. Creativity comes from this place, and it really does not matter, to me anyway, if creativity finds its expression in painting, potting, writing, or music. Art is all about making visible the invisible. One great pleasure in potting is putting my hands around a warm pot fresh from the kiln. In my hands is a new world. A new life. Peter has chosen a poem by Mick Stringer for the Bellamys at Five Exhibition. I have no idea how he plans to interpret the poem so I’m looking forward to September when all will be revealed! Peter and Laura’s Gallery is open most Wednesday, Thursday, Friday, and Sunday afternoons from 1pm to 5pm. They’re also happy to open at other times by appointment. Check here for further information.